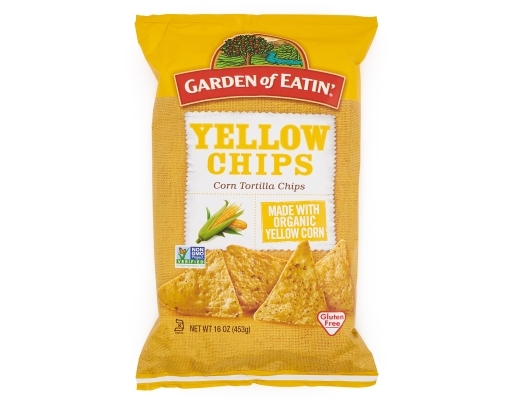 Each batch of Garden of Eatin’ Tortilla Chips is carefully made to order with whole corn kernels that they grind and cook. The unforgettable flavor and highest quality ingredients come from their long-time farming partners dedicated to sustainable growing and harvesting practices. 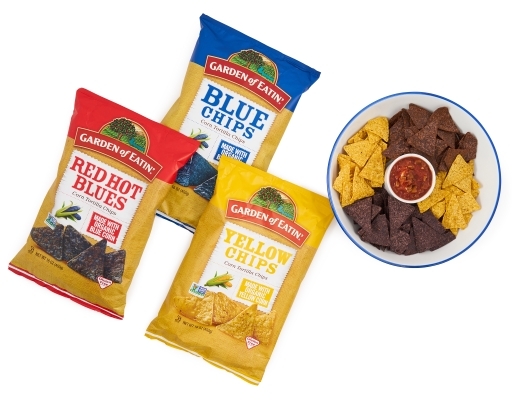 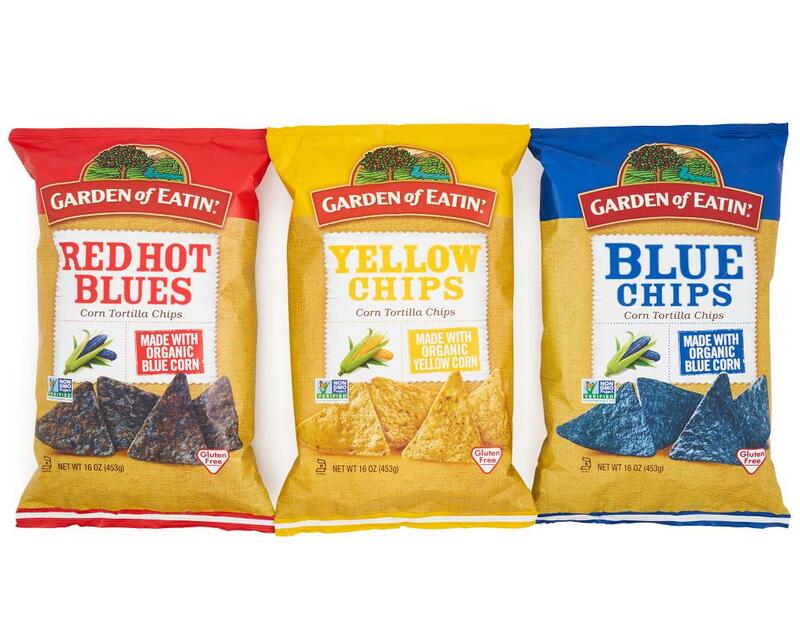 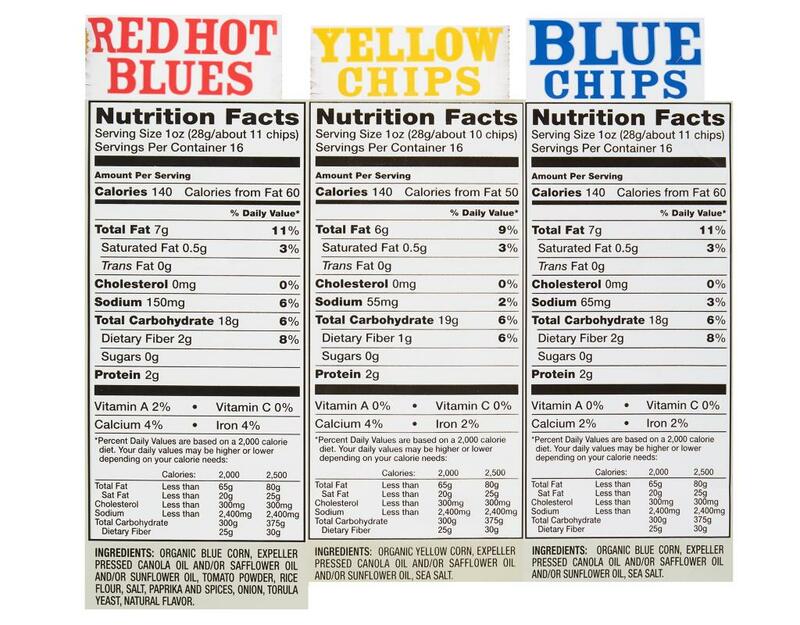 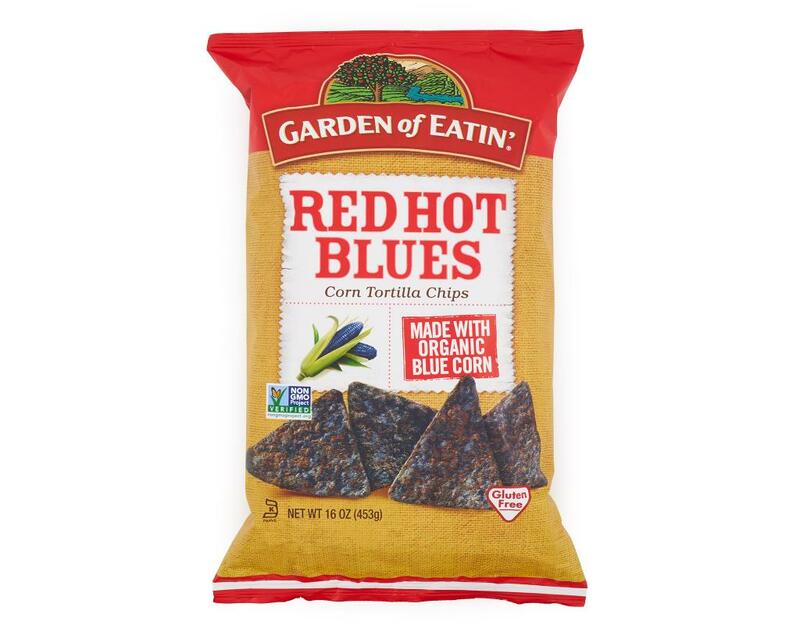 Red Hot Blues: After more than 40 years of delivering wholesome goodness, Garden of Eatin’ offers a spicy twist on Tortilla Chips. 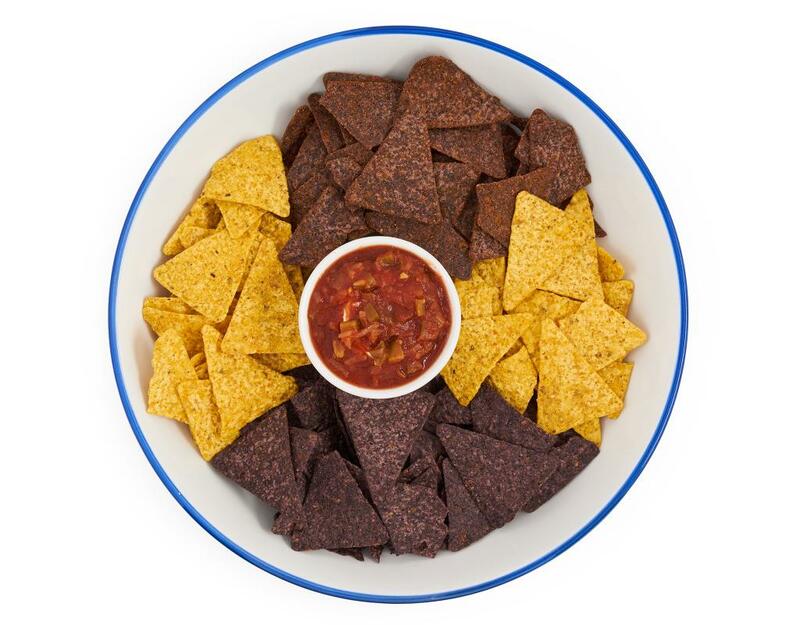 With a tangy touch and spicy pepper, prepare to turn up the heat! 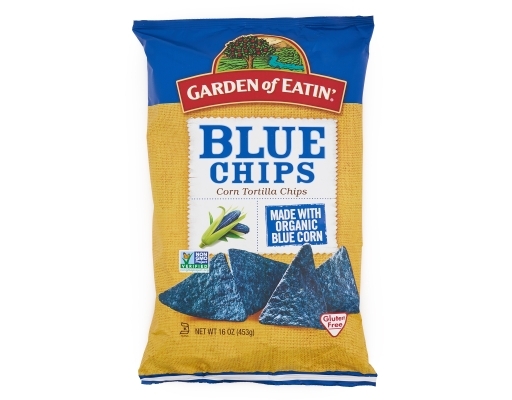 This scintillating snack has a bold flavor with a serious bite! 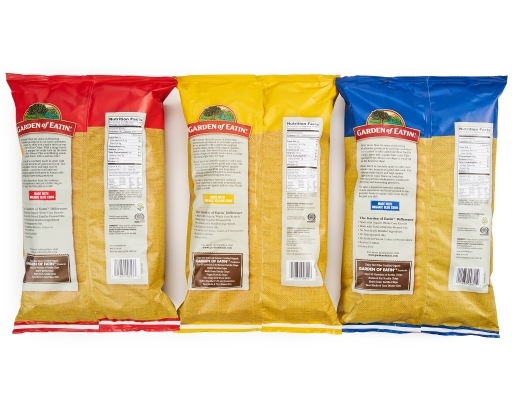 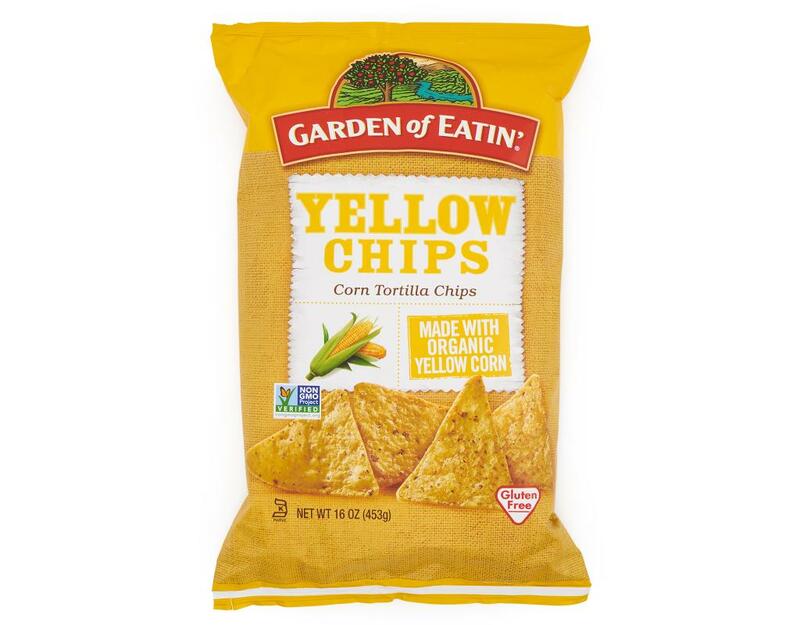 Yellow Chips: After more than 40 years of delivering wholesome goodness, Garden of Eatin’ offers an authentic original tortilla chip, made with organic golden yellow corn. 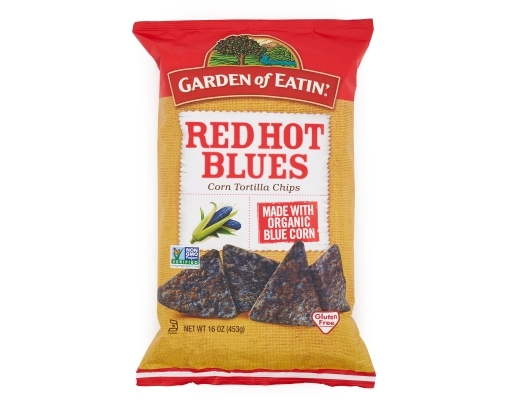 Use them for your favorite nacho recipe or satisfy your snack craving by diving right into the bag! Blue Chips: After more than 40 years of delivering wholesome goodness, Garden of Eatin’ offers an authentic Blue Tortilla Chip, made with organic blue corn. This special recipe allows the chips to stand up to the heartiest dips.